This year has been one hell of a ride for us fans, and on Sunday, the Orioles closed out their final regular season game at home by defeating the Boston Red Sox, 6-3. The Orioles would complete a weekend sweep of the Red Sox, who have been nothing short of a train wreck. In front of a crowd that numbered over 41,000 – the vast majority in orange – the Birds of Baltimore put themselves in reach of a playoff spot as Nate McLouth, J.J. Hardy and Chris Davis all homered. Joe Saunders – who on the afternoon – came through on the mound, pitching 7 1/3 innings and giving up three runs in a workman-like performance; thereafter, Jim Johnson got his 50th save. With a win, the Orioles earned their 92nd victory on the season – a feat that I think few people even envisioned in March. As well, if the Los Angeles Angels of Anaheim lost either of their two games in a day-night doubleheader, the Orioles secure a playoff spot. The Orioles finished off the Red Sox, and the players along with the coaching staff took the field and watched the scoreboard. Like everyone else in attendance, the Orioles were watching the scoreboard waiting to see if the Angels would lose to the Rangers in game one of their doubleheader. It was going to be a picture-perfect moment, the players would see the Angels lose in the ninth inning, and they would get to frolic and celebrate in front of the fans. Everyone left in the stadium was waiting for a magical moment; however, it would not come. The Angels would score twice in the frame, and the Rangers did not come back. When all was said and done, the Angels would keep their faint playoff hopes alive. Fans at Oriole Park left somewhat disappointed; however, almost everyone was amazed by what they saw and have faith that they will come out of Tampa Bay and secure a playoff spot. The Orioles won their 90th game today. 90 wins. Let that sink in for a moment. With a decisive, dominant, deafening win over the Boston Red Sox tonight the 2012 Orioles became the 19th Orioles team in Baltimore history to attain a 90 win season; they lowered their magic number to three and remained one game behind the New York Yankees for the AL East title. Sitting in the pressbox is rather indescribable. When you are there you are at the game but you are focused, you are working. There is no cheering and you get a very focused on what you are doing. You see the game a different way, the vantage point is second-to-none allowing you to see the shifts and movements of everyone on the field. The big thing is, you can't cheer. That was hard for me tonight. When Ryan Flaherty hit a grand slam in the bottom of the first I looked directly at one of the pressbox attendants. He knows that I am not a journalist by any means. I do not have the steely resolve of the professionals around me. We both smiled and I raised my hand, shaking as if to say: "I am about to explode with excitement right now." The Orioles went on to embarrass the Red Sox with a 9-1 drubbing. Chris Tillman pitched eight innings of enlightened baseball, retiring the last 14 batters he faced and only allowing two walks after the leadoff single that started the top of the first. The Red Sox looked dead, lifeless and they seemed to sleepwalk through the game. When Bobb Valentine removed Aaron Cook after the first inning he walked very slowly to the mound a man who knows his fate. As exciting and amazing as the win was, the Orioles work is still not done. The Rays lost tonight, but the Yankees and Angels both won. The Yankees however may have lost something greater as second baseman Robinson Cano was hit on the hand and will have x-rays in the morning. It was an ugly injury that was reminiscent of the injury that would sideline Nick Markakis for the rest of regular season. IF the Yankees lose Cano for the next few games then their lineup looks a lot more pedestrian than before and it could have massive implications for the playoffs. The Orioles are currently still sitting in a very strong position and are three games away from sewing up a playoff spot. Here I sit in the pressbox of Oriole Park at Camden Yards. I am not a journalist, I'm just a teacher, a 29 year-old lifelong Orioles fan and I am here. 30 minutes before game time the groundscrew is cleaning up the field and the crowd is starting to file in. I'm sitting here, still in my work-clothes from today, wondering one thing: How did I get here? What have I necessarily done to deserve this treatment? I mean honestly, I made some shirts, got noticed a bit, and here I am doing call-in shows for sportstalk stations in Long Island and sitting here, in the pressbox watching my team try to put an exclamation point on the most amazing season I have ever experienced. The Orioles were off today. Today was the "evening" of the schedules as every team that matter to the Orioles now has only six games left. The idle Orioles could have been in a much more precarious position, or a much more advantageous one. It would all depend on who lost and who won. So far today the Yankees, Athletics and Angels all lost. What that means is the Orioles sit in the first wild card seat with a one game cushion over the A's and three games ahead of the Angels. But most importantly the Orioles now sit only one game behind the Yankees for the AL East title with six games remaining. The important thing at this time of year is not to look at the wins, but rather the losses. The Rays are currently playing the White Sox in a close 2-2 game. If they were to lose that game then they would have 71 losses heading into the final six and giving them a very tough road to hoe. If the Orioles can go 3-3 over the next six it forces the Angels and Rays to play perfect baseball to simply tie the Orioles and force all sorts of Rube-Goldberg Device tie-breaker machinations and play-in games. One would assume that the Orioles have a very good shot of at least winning three of their last six, and if they can't win three of their last six then they really don't deserve to make the playoffs and this magical season would deservedly come to a bittersweet end. For the second straight game, the Baltimore Orioles lost to the Toronto Blue Jays, this time by a score of 4-0. Overall, the Orioles were held scoreless by Jays pitching, who only allowed six hits on the night. They didn’t have many opportunities to even do much on the scoreboard, and when they did – nothing much happened. Joe Saunders was decent on the night on the mound for the Orioles, but obviously didn’t get the help he needed from the bats. Aaron Laffey – who started the game for the Jays on the mound – stifled the Orioles offensively throughout his outing as he induced groundball after groundball, keeping the ball out of the air. Baltimore got a few solid hits off of him, but overall, they were no match for Laffey on the night. After Laffey left the game in the sixth inning, the Toronto bullpen also kept Baltimore at bay. Saunders tried to match Laffey on the mound, pitch for pitch, but a few mistakes did him in. He and the Orioles perhaps deserved a better fate on the night, considering they are trying to do their best to keep pace with the Yankees with the number of games dwindling along with maintaining their Wild Card standing. Saunders lasted 6 1/3 innings on Wednesday, and gave up four runs - three earned. The first third of the ball game was very well-played by Baltimore; however, the Toronto took a 1-0 lead off Yan Gomes’ RBI-single in the first inning and added another in the fourth with Adeiny Hechavarria’s single to left. They added two more in the seventh off runs driven by Colby Rasmus and Edwin Encarnacion. The Orioles had chances in the first and seventh innings as they had two men on base and could have started a rally, but they could not capitalize. J.J. Hardy and Matt Wieters did have two hits for Baltimore. The Orioles split their double header against the Jays yesterday, lost a half a game against the Yankees but saw no real movement in the wild card. As the season winds down every single game matters with the Rays and Angels knocking on the door of the playoffs with both teams within four games of the Birds with eight games remaining. The Orioles are still in the driver's seat of their playoff destiny but with every game carrying so much weight Baltimore is in a tizzy as it deals with emotions the fans simply haven't had to deal with in a very long time. The Orioles' loss yesterday, as frustrating as it was, has sent many fans into a bit of a defcon-3 frenzy. The Orioles sit only 1.5 games behind the division-leading Yankees but many fans now see that as an insurmountable feat. Meanwhile, even though the Orioles' playoff cushion is currently three times the size of that gap, scenarios are being devised that see the Orioles missing the playoffs in a sort of 1989 "Why Not?" heartbreak. As I type this entry the Orioles' bats have been silenced thus far by the Blue Jays, a stark contrast from the last couple of days and an equally stark reminder that on any night anything can happen. An Orioles' loss tonight could result in their lead in the wild card being reduced to half a game over the A's with the Angels and Rays sitting two and three games back respectively, with seven games left to play. It certainly would make the Orioles' job a bit more difficult and the last week's worth of games would be insanley tense but still in a very solid position. The Orioles finished their last multi-city roadtrip today with a 2-1 frustrating loss to the shambling corpse of the Boston Red Sox. The Orioles finished the roadtrip snapping a season-long six-game winning streak that has allowed them to keep pace with the seemingly endless New York Yankees. Despite the Yankees frustrating inability to lose a game right now, they have helped the Orioles out a bit this weekend by way fo their victories over the Oakland Athletics. The Orioles now hold the first wild card spot with a one game lead over the A's. Behind the A's are the Angels who sit 3.5 games back and the Rays who sit 4.5 back. With 11 games left the Orioles are still sitting pretty despite losing a game today that could easily have been won. Felix Dorubont perplexed the Orioles bats all game, and Chris Tillman had a similarly easy day. The game was tied 1-1 going into the eighth inning when during the Red Sox' half Luis ayala gave up back-to-back doubles allowing the Sox to take a 2-1 lead. Suddenly, Orioles number one prospect Dylan Bundy was summoned to get the last out in the eighth. Let it be known that Dylan Bundy recorded his first major league out retiring Ryan Lavarnway on two pitches and a line-out. The Orioles had a chance to equalize in the top of the ninth but were unable to push a run across a run despite having the tying run on third with less than two outs. All in all, one really can't complain about the Orioles last road trip. The three losses sandwiched between a six-game winning streak that saw the usual Orioles script. Thrilling extra-inning wins, clutch hitting and the solid reliable bullpen. Tomorrow the Orioles begin their final homesatnd of the regular season with a single-admission true-doubleheader against the Toronto Blue Jays. The Jays are playing absolutely terrible baseball recently. The Jays have lost nine of their last 11 games, they have looked dead in the field and seem to have been playing the role of fodder for competing teams in the last 10% of the season. The Rays have abused the Jays to allow themselves to stay in the race as the we come to the final ten games of the year. The Baltimore Orioles won their 86th game of the season last night as they defeated the Boston Red Sox, 4-2. Matt Wieters drove in three runs, Miguel Gonzalez had another solid start and earned a win; meanwhile, Jim Johnson got his 46th save and now holds the team record in that category. It's startling to see the difference between the two organizations from this point last year. The Orioles were on a hot streak to finish up the year and have been flying high in the win column ever since; meanwhile, the Red Sox have been your proverbial train wreck. Watching on the action with some friends at the BUCKle up event in Hunt Valley yesterday, the Orioles looked like a confident team knowing they have their destiny under control. The Red Sox on the field resembled a squad hating their professional careers right now and waiting out the string. Jon Lester - who started for Boston - and has owned the Orioles for seemingly forever, took the loss and just didn't look like he gave a damn on the mound. With the exception of Dustin Pedoria and a few others vying for a job next year, the arrogance and swagger the Boston squad had is gone. The Orioles today announced a series of rallies to generate excitement for the team's push for the postseason. Rally sponsors include Bank of America, Coca-Cola, ESSKAY, Miller Lite, Old Bay, Ollie's Bargain Outlet, Stuggy's and Von Paris Moving and Storage. A "BUCKle Up" street team will travel throughout Baltimore and surrounding areas for the rest of the month, including appearances at Silver Spring Mining Company in Cockeysville, presented by Von Paris Moving and Storage on September 21 and Geresbeck's on Eastern Avenue, presented by ESSKAY, on September 22. The BUCKle Up team will also be at Ravens Walk prior to the Baltimore Ravens' home games on September 23 and 27. The rally schedule also includes a joint event during the Orioles game in Tampa Bay at Pickles Pub and Sliders Bar & Grille on Monday October 1 from 6-8 p.m. presented by Miller Lite. The rallies will conclude with an appearance at Power Plant Live!, also presented by Miller Lite, on Tuesday, October 2 from 6-8 p.m.
Well, the Baltimore Orioles seemingly are now a team of destiny. They’ve pulled out amazing win after another, and some of them seem utterly incomprehensible. One night after their amazing 18-inning win over the Mariners, they did at again this morning. Once again, the Orioles played an extra inning game – this time, only 11 innings – and they defeated the Mariners again, this time, with a 3-1 victory. Adam Jones’ two-run homer in the 11th put away his former team, and Jim Johnson earned his 45th save. Johnson’s save tied the team record, held by Randy Myers, who set it in 1997. He allowed the first two hitters he faced to reach base on hits; however, whatever God the Orioles pray to saved them. A double play later, along with an amazing scoop by Johnson, a walk, and a runner caught stealing base thanks to Taylor Teagarden’s throw to end the contest, Baltimore earns their 85th win of the season. Even crazier, the Orioles have won their 15th straight game in extra-innings. I guess if the Orioles go more than nine innings, the opposing team will lose. Joe Saunders pitched a great game, as he went eight innings and only gave up a run. Five relievers helped keep the Mariners off the scoreboard, and Luis Ayala earned the win, his fifth of the season. Adam Jones and Nate McLouth had two hits; meanwhile, the Orioles held their own against Felix Hernandez who was on the mound for Seattle. Hernandez only gave up a run – off a Reynolds’ RBI in the fourth inning – but the Orioles Saunders’ matched up well with him on the mound. The Orioles today announced three options for fans to purchase postseason tickets, which will be available exclusively online. Fans are encouraged to visit www.orioles.com/postseason for a postseason seating chart, schedule and additional ticket information. All three options are for fans to purchase Wild Card and American League Division Series tickets (ALCS and World Series tickets will be made available for sale at a later date, if necessary). Fans will receive the opportunity to purchase postseason tickets before the general public by placing a $250 per seat deposit on a 2013 full or partial season ticket plan, including 13-game plans. Fans who place a deposit by midnight tonight will have access to an exclusive online-only pre-sale on Thursday, September 20 at 2p.m. Beginning tomorrow, 2013 deposits will no longer guarantee fans an opportunity to participate in this pre-sale. The Orioles pulled out a fantastic 4-2 victory out west over the Seattle Mariners in game that went 18 innngs and ended a tad before 4AM ET. The pitching came through late, and with that being said, the Orioles need arms. I didn't think this would happen; however, this morning they promoted highly touted youngster Dylan Bundy to the majors. This was a huge surprise, as I didn't think the the Orioles would bring him up this year. The Orioles are now tied for the Yankees with the AL East lead, and have a three-game advantage over the Los Angeles Angels for the final playoff spot. It looks like the team is taking advantage of the expanded rosters now and promoting Bundy. From Ken Rosenthal: BREAKING: #Orioles, in need of a fresh arm following their 18-inning victory, have promoted their top pitching prospect, Dylan Bundy, 19. 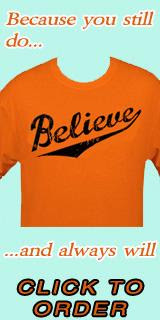 Today, the Baltimore Orioles defeated the Oakland Athletics, 9-5, and clinched their first winning season since 1997. After losing the first two games of the weekend series, the Orioles rebounded on Sunday as Matt Wieters hit two homers, Endy Chavez plated in two runs and Chris Davis’s eighth-inning homer put the game away late. Baltimore’s J.J. Hardy, Mark Reynolds and Robert Andino also drove in runs. According to Roch Kubtako of MASN Sports, the Orioles had lost 16 out of 18 games on the road in Oakland – an astounding piece of information. That should tell you how huge Sunday’s win for them was on the left coast. Randy Wolf – in a spot start – pitched four strong innings, giving up two runs; meanwhile, Brian Matusz earned the win as pitched two clutch relief innings. Jim Johnson earned his 43rd save, coming in for an ineffective Pedro Strop. Oakland took an early 2-0 lead; however, the Baltimore offense came through for the pitchers on the mound. With their win, the Orioles (82-64) still trail the New York Yankees by a game in the American League; meanwhile, they hold a 2 ½ game lead over the Los Angeles Angels for the final wild card spot. They could not afford another loss in Oakland, and they head onto Seattle for yet another important series. Afterwards, they head back east to face the Boston Red Sox on the road to finish out the road trip. Baltimore had rebounded from a close loss on Friday and a miserable one on Saturday due to one bad inning. Although they didn’t look great overall this weekend (blowing scoring opportunities, loading the bases, confounding pitching at times), the Orioles are still in a fairly strong position and still control their destiny. I’ve got a feeling they still make the playoffs; however, they will probably face Oakland out west in the wild card game. The Orioles lost last night, meaning they have only 18 games remaining in their remarkable season to get to the next level. To me the magic number is 90 wins, meaning the Orioles need only go .500 the rest of the way to meet my playoff threshold. The scenario as I see it. This is, of course, barring any unforeseen nonsense or any team getting ridiculously hot/cold. One wild card will come out of the west. At this point I think the Orioles west-coast cousin Athletics will make the playoffs in some capacity. The Angels are trying valiantly but I think their inconsistent play will sabotage them going forward during the remainder. The A’s are doing their damnedest to catch the Rangers, but they seem too powerful to be caught. That leaves the Yankees, Orioles and Rays all vying for two playoff spots. At the start of play today the Birds and the Yanks are tied for first both three games ahead of the Rays. The Rays will take on the Yankees tonight and the A’s are, of course, hosting the Orioles – each will play two more games this series. To get to 90 wins the Yankees and Orioles both need only to win nine games, the Rays need to win 12. All teams only have 18 games to play. While it is very reasonable to imagine the Orioles and the Yankees going .500, the Rays getting to 90 might be a bit more troublesome for them. The Rays have only had two stretches of 12-6, or better, play this year; Once at the beginning of the season from April 12 – May 29 (14-4) and again from August 7 – August 24 (14-4). While their pitching is simply second-to-none their offense continues to struggle to score runs consistently. The Orioles on a gorgeous afternoon in Charm City won their 81st game of the 2012 season. Obviously for us fans, their victory over the Rays not only completed a three-game sweep, but also have now vanquished an ignominious past. For the first time in 15 seasons, the Orioles will at finish a campaign at or above .500. No team aspires to be mediocre; however, it happens. Then again, most organizations do not have prolonged stretches of losing like the Orioles have had. Through umpteen players – the high-dollar free agents, the good, the bad, the call-ups, the overhyped – along with managers, team executives, and like, the Orioles have never had anything for us to rally and cheer about. This team is a product of what Andy MacPhail started and Dan Duquette have continued to build on. Although the players do it all on the field with their arms with their bats, you seriously cannot discount the job that Buck Showalter has done as not only a manager. If you have read the numerous articles written online about Showalter, you can see he’s not only the on-field general manager, but a mentor and a motivator. It’s amazing what Duquette and Showalter have done with the resources available to them. They don’t have the money of the New York Yankees or Red Sox, but they’ve been creative with their moves and acquisition of players. For all the talk of potential moves at the trade deadline, the biggest moves the Orioles have made came from within their system (i.e., Machado) and finding available players with track records who have contributed in one way or another (Nate McLouth, Lew Ford, Taylor Teagarden, Joe Saunders. It’s like the magic run that the Orioles have had in the past has returned this year and at this point, I expect nothing short of the playoffs for the now. I’m sure most fans agree now. Back in March, a .500 season would have been a cause of celebration; however, I’m looking forward to October. The Orioles have won their 80th game. What else is there to say. With a sweep today the Orioles will finally end the 14-year losing streak that has plagued this team, its fans and the city of Baltimore. Confederate money, 30-3, Jeff Maier, Raffy–gate, Mazzilli, The Mother’s Day Massacre, Armando Benitez, Omar Dhal, BJ Ryan, Kurt Ainsworth – all will be wiped away. The Orioles can no longer be lumped together with the laughing stocks of sport. No longer can sports writers wax philosophical about how much a “tragedy “ the Baltimore Orioles are. With a win today the Orioles can finally close a deplorable volume in the history of this team and begin to write a new one; most certainly a better one. There is no real way to describe what I am seeing. It’s been stated a million times before: “this team shouldn’t be here,” “they simply can’t keep doing this,” “They are lucky.” Yet here they are, the Orioles are one win away from breaking the losing streak. These Orioles remain tied for first place with their biggest rival, they are locked in a tight race for the AL wildcard and they just keep winning series after series. Season opens at Tampa Bay April 2, home opener slated for April 5 vs. Minnesota. The Orioles today announced they will open the 2013 season at Tampa Bay before beginning their 22nd season at Oriole Park at Camden Yards on April 5 against the Minnesota Twins in a short three-game homestand. The Orioles will play each of their AL East rivals three times at Oriole Park, with 10 games each against the New York Yankees and Boston Red Sox and nine games each against the Tampa Bay Rays and the Toronto Blue Jays. The Yankees will visit Baltimore May 20-22, June 28-30 and September 9-12, while the Red Sox come to Charm City over Father's Day weekend June 13-16, July 26-28 and September 27-29. The Rays visit Baltimore April 16-18, May 17-19 and August 19-21 and the Blue Jays visit April 22-24, July 12-14 and September 24-26. The Houston Astros will make their first visit to Oriole Park as members of the American League July 30-August 1, while the Orioles will visit Houston June 4-6. It was a good night for the Orioles on Tuesday as they defeated the Tampa Bay Rays, 9-2. Once again, the Birds share first place with the New York Yankees as they lost to the Boston Red Sox. The Orioles won thanks to two homers from J.J. Hardy – who has 21 on the year – plus, Chris Davis hit his 25th homer. Matt Wieters went 3-for-3 with two runs driven in. The big news on the night is that Jason Hammel is once again hurt. He seemingly re-injured his knee in the fourth inning and it is unknown if he just tweaked or re-injured it. Who knows what will happen from here on out; however, the news of Hammel being injured is definitely unfortunate, as the Orioles definitely need his arm down the stretch. If he’s gone for the rest of the season, the loss of Hammel will hurt; however, the Orioles will just have to patch things together as they have all season. With Markakis out as well, it’s been a touch week for the team – and us fans. Unlike in the past, the Orioles seemingly have enough pieces and depth to cover up for injuries, which is a good thing. The question is: can their success still last with the loss of Markakis and Hammel? At this point, sure … why not? Everything that has happened with the Orioles this season defies logic. Steve Johnson came in for relief of Hammel and pitched 1 1/3 innings of relief for the win. I’ll say that Johnson has come up huge for the Orioles in several spots and could be an integral part of the pitching staff as the weeks wind down during the season. A lot of people have doubted the Orioles all season; however, now it looks like the baseball world is taking them dead serious. They have yet to fade – and they most likely won’t. If they fail to make it into the postseason, it might only because they might run out of gas at the end. This weekend, the Baltimore Orioles showed their fans – and the baseball world – that they are in the playoff race to stay for sure. They have played their rivals, the New York Yankees to the limit and showed them the same old script has indeed changed. After being beaten down by them for so long, the Orioles were looking to take the long, four-game series from the Yankees on Sunday. That would not be the case as the Yankees completely annihilated the Orioles, 13-3, on a very gorgeous day in Charm City. For all the Orioles grit, guile and gamesmanship they showed in their victories on Thursday and Saturday, the Yankees have one thing they don’t have: experience in big moments. It’s not to say that the Orioles can’t hang with the Yankees; however, on Sunday, we all saw why the Yankees are still the team to beat in American League East despite being in a month-long slump. They are a game up on the Orioles in the American League East standings with a 79-61 record; meanwhile, the Orioles are 78-62 and still hold the second wild card spot for now. Baltimore starting pitcher Zach Britton was off and so were the most of the relievers who came in for mop-up duty. No matter what anyone thinks, if the Orioles – or any team – want to go deep in October, they’ll need reliable starting pitching. On the day, Britton – who had been pitching very, very well before facing the Yankees – could not get his pitches over, and when he did, they either missed their location, or he got hit hard. The Yankees knew it, and they went to town on him. Britton gave up five runs on 3 1/3 innings, and ran his pitch count up to 80 before he was yanked. He walked five New York batters, and if do that – especially so early in a game – they will make you pay. Then again, if you walk five in the first three -plus innings against even a sub .500 team you’ll lose anyway. The Yankees used a four-run fourth inning and a five-run eighth to send the Orioles to a loss. Derek Jeter drove in three; Curtis Granderson hit a big homer in the sixth and drove in five. The Orioles won last night with the help of a blown call at first base. They are, once again, tied for first in the American League East. It should be a happy day, but last night leaves a bad taste in your mouth. Like waking up on a Sunday after a night of mixing cheap beer with cheaper cigarettes and bad liquor; sure it was fun but you feel bad about it in the morning. A win might be a win, but I hate winning like this. I hate giving the other team an excuse. I hate giving the "Orioles are just lucky" crowd more ammunition. The call was really bad as well. Even in real-time it seemed as though Tex was safe and the ump just blew it. If there is anything that can be taken away from that unfortunate incident is that perhaps Yankee fans will look at that play in some similar way the Orioles faithful look at "the catch". But that was not even the worst thing about last night; Nick Markakis is done for the year. CC Sabathia struck Markakis' left hand with a 93 MPH fastball, one of the only pitches he was genuinely able to get up to that speed all night. Markakis jumped and begin shaking his hand feverishly; he knew, we all knew. While Sabathia, classy as always, was arguing for a strike call Markakis was being led off the field and into the locker room. He would be diagnosed with a broken thumb and he will be out at least six weeks. And that is just heartbreaking. It is not that I think the Orioles' playoff push is done - far from it. I think Nate McClouth can be a legitimate leadoff hitter, Xavier Avery or LJ Hoes can play in the outfield. Chris Davis has done well in right and Lew Ford is a solid glove out there as well. This team has met every challenge presented to it, they are too close not to rally around each other and get it done. But as an Orioles fan, a Markakis fan, it is soul crushing. This is crazy. I didn’t go to the game tonight due to simply just taking the night ‘off”; however, maybe I should have reconsidered and bought a ticket in standing room, or on Stubhub. Considering I live close to D.C., and would be up in Baltimore on Sunday, today was a good time to see everything in high-definition at home. Just a few minutes ago, the Baltimore Orioles beat C.C. Sabathia and the New York Yankees in a surreal 5-4 thriller. Up 5-3 in the ninth inning, the Orioles’ Jim Johnson gave three consecutive hits, including a Derek Jeter bunt, and their backs were against the wall with no outs – and the bases loaded. In the past, they would have potentially lost this game; however, that is not case this season. The New Yorkers did plate a run as Nick Swisher grounded out, but Mark Teixeira ended the game with a double play that looked way-too-close-to-call at first base. Baltimore is once again tied with New York for the American League East lead with a 78-61 record. Despite the rain and the crazy weather that swept through the region, the Camden Yards looked absolutely packed – and filled with orange. For those who attended the game, it must have been an awesome night. The bad news of the night is that Nick Marakakis broke his thumb. As you all know, Sabathia drilled him on his hand in the fifth inning, and he is now out at least six weeks. Everyone knows that since Markakis was inserted as the leadoff hitter, his numbers and the Orioles’ fortune has improved. Who knows how this will affect the Orioles down the road, but yet again, another player has to setup up and shoulder the load. After the magic of Thursday night at Camden Yards where the Orioles engineered an incredible win, the two teams met again on Friday. The atmosphere was not nearly as festive as it was on Thursday; however, there was still buzz in the air as the Orioles faced their notorious rival for the second in a four game series. However, the Orioles could not pull off a miracle as the experienced New Yorkers took advantage of a off-his-game Wei Yin Chen, 8-5. Chen was rolling in the first third of the game; however, the Yankees used the longball in the fourth inning to plate five runs thanks to homers by Russell Martin and Steve Pearce and scored three more times in the fifth as former Oriole Alex Rodriguez went deep. Chen kind of started the fire that led to New York's onslaught in the fourth inning. He led off the frame hitting a batter, and then walking another before Martin's blast. He - nor any of the Oriole pitchers - can make those types of mistakes against any team. Especially the Yankees. Despite the loss, the Birds had some highlights, as they too used the longball, as Adam Jones, Robert Andino and Manny Machado all homered. In the end, the homers didn't propel the Orioles to another victory; however, they showed that have grit and always fight hard. That was something missing from the Orioles in the past. The Yankees - and the rest of baseball - know that the Birds are no longer pushovers and are really in it. You also can't forget the play of Nate McLouth on Friday. As we all know, he'd struggled to stay in the league for the past few years; however, in Baltimore, McLouth has found new life. He had three hits on the night, but made an impact on the field. In the fourth inning, McLouth nearly saved the Orioles as he seemed to have a play on Martin's homer; however, it looked like a fan hit him while he attempted to catch the ball. On Thursday evening I hopped in my car and made my way from my Remington house towards downtown Baltimore. As I passed through neighborhoods in various stages of gentrification, the recession of urban decay and the seemingly endless stream of commuters it began to hit me what I was about to see. I was going to see my hometown team face-off against a bitter rival, in my city, in September, for a chance at first place in the American League East. As I approached midtown Baltimore I realized I was not the only one thinking that - the traffic stretched on forever. I gave up about 10 blocks from the stadium, saw a spot on the street took it and walked the rest of the way. As I approached the gates, the rush of people was amazing. I walked onto Eutaw Street and my heart leapt into my throat. I literally teared up a bit I looked around to the completely packed stadium, almost entirely in orange. This was a night I have anticipated for so long. For a decade all I have ever wanted was to experience that night. As you all know by now the Orioles used six homers, including one incredibly clutch solo-homer from Adam Jones to avert a near catastrophic collapse, to beat the New York Yankees 10-6. The Yankees returned the favor last night getting out to a big 7-0 lead before finally winning by the more respectable score of 8-5. So the season series is down to its last two games, with both teams owning eight wins apiece. The Orioles still sit only one game behind the dread New York Yankees and the next two games will go a long way to deciding the fates of both these teams. This weekend means so much to Orioles fans everywhere. Thursday night was an experience I will never forget. This city wore its heart on its sleeve for one night and if Thursday September 6 is any indication playoff games at Camden Yards would be astronomically ridiculous. I simply can not describe the sound, the sonic detonation of 47 thousand competition-starved fans. When Matt Wieters hit his first inning homerun into the left field seats the undulating mass of humanity, the sound that was released. You could feel the 14 years of misery and heartbreak. 14 years of broken promises and cheap, penny-pinching moves, 14 years of bad luck, bad karma, bad calls and bad losses were finally blasted away with a three-run homer into the second row of the left field lower boxes. The Orioles, as we all know, lost last night to the Toronto Blue Jays, 6-4. All in all, they had a successful road trip, going 6-2; however, last night, you expected the Orioles to sweep their rivals to the north. It’s weird to believe it, but I did think it was going to be done for a bit. Miguel Gonzalez grinded through his start on the mound; alas, he ran into trouble in the seventh inning and Baltimore gave up four runs in that frame, leading to their 60th loss on the season. In the eighth inning, the Orioles had a very good chance of getting back into the game, trailing 6-2, as they had two men on base with Lew Ford at the plate. Ford seemingly dropped a hit for extra bases down the left field line that would have scored at least two. However, third base umpire Laz Diaz called Ford’s drive a foul, and even though Buck Showalter tried to argue his case, the call stood. Of course, then Ford grounded into a double play. If any good came from Wednesday’s game, Adam Jones hit his 27th homer of the year in the second inning and Mark Reynolds continued his hot streak at the plate as he hit a two-run homer in the ninth (his 18th of the season). The Jays just had the Orioles’ number on the night as they got the hits they needed. It’s too bad that Baltimore could not have pulled out a win, but they have to look forward to this weekend’s huge series against the Yankees. Apparently, Thursday and Saturday’s game are sold out; however, tickets are available for Friday and Sunday. The Orioles today announced a new ticket promotion to celebrate the team's push for the postseason in this 20th Anniversary season of Oriole Park at Camden Yards. In an effort to encourage fans to "BUCKle Up!" and Back the Birds, the team will offer 1992 throwback pricing for select locations during the Orioles' series against the Tampa Bay Rays September 11-13. For all three games of the series, while supplies last, Eutaw Street Bleacher seats are $4.00 (regularly $19) and all Left Field Lower Box seats are just $8.00 (regularly $32). Fans can take advantage of this 75% discount online at www.orioles.com/buckleup or by stopping by the Oriole Park Box Office. Fans who already purchased regularly priced seats in the Eutaw Street Bleachers or Left Field Lower Box will receive a refund for the difference in ticket value. A refund check will be automatically issued, and fans should allow up to four weeks for processing and delivery. The First Place Baltimore Orioles.Yes, the First Place Baltimore Orioles. Are currently tied for first place in the American League East. There really isn't anything else to say. The Orioles are tied for first. With a win tomorrow the Orioles, at worst, will open their final series with the Yankees tied for first place. There is a legitimate chance that the Orioles could be in sole possession of first place at the end of play tomorrow night. The Orioles retlentless march toward the post season continued today with a 8-3 come-from-behind win in New York. The Orioles were down 3-1 at one point but went on to score seven unanswered runs off of eight Yankee pitchers, including starter Phil Hughes. Five of the Yankee pitchers were used in the top of the seventh inning where the Orioles were able to string together three hits and two walks, one with the bases loaded, scoring three runs and putting the game out of reach. Mark Reynolds was truly the hero of the day smacking a pair of homers for the second time this series. Down 2-0 in the fifth Reynolds launched the a 2-2 pich from Hughes 437 feet into the left field seats. Then in the fifth, right after a Matt Wieters RBI single, with two on Reynolds took Hughes deep again into the left field seats for a three-run shot giving the Orioles a 5-3 lead and ending Hughes' day. Luis Ayala, Brian Matusz and Darren O'Day pitched a very tidy last 2.2 innings to clench the series win, but the real hero was the Birds' newest acquisition Randy Wolf. Wolf came out in relief of Chris Tillman who was pulled after three innings. In his three innings Tillman had pitched well enough giving up two runs on two hits with two walks and two strike outs. In the second inning Tillman gave up a two-run homer to New York substitute center fielder Chris Dickerson, but was otherwise on point. After the third inning ended Tillman went straight back into the lockerroom and Wolf was warmed up quickly. The Orioles won game one, but dropped game two of the biggest series in the recent history in New York City. The Orioles currently sit three games behind the Yankees as they try to do what many consider the impossible, take the American League East. I honestly never thought I would be writing those words but there they are and the Orioles have a legitimate shot at the number one spot in the toughest division in baseball. The Orioles took a step backward today as they lost a game that they could easily have won. 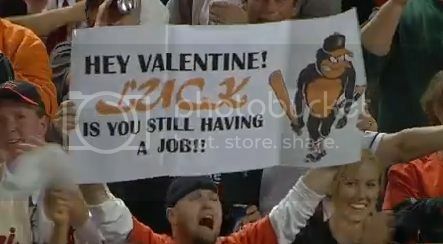 The Orioles would blow a three run lead losing 4-3. The Birds took a 3-1 lead into the bottom of the seventh inning when it all came unravelled. With two out and one on Wei Yin Chen got two quick strikes on the Yankees Lance Nix, but could not put him away. Nix extended the at bat, earned the walk and extended the inning. Eduardo Nunez got jammed and flared a broken bay line drive over JJ Hardy to score former Oriole Steve Pearce from second, Nix moved to third. Pedro Strop came in and could not find the plate. Strop walked Ichiro and Jeter back-to-back tying the game.The killer came with Nick Swisher's at bat. Strop induced the sharp grounder that hit Hardy in the stomach on hone hop, but Hardy was unable to recover the ball off the ground resulting in an error, a run scored and the eventual Orioles loss.